Next to Nothing was shortlisted (from among 57 titles published in the United Kingdom in 2009) for the first Ted Hughes Award for New Work in Poetry, funded by the Poet Laureate and organized by the Poetry Society in London. The other shortlisted poets were Andrew Motion, Danny Abse, Jackie Kay, Alice Oswald (winner), John Glenday and Paul Farley. Agee was the only Irish citizen shortlisted. 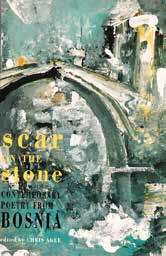 Scar on the Stone was selected, by the poet Elaine Feldstein, as the Poetry Society’s Recommended Translation in the spring of 1998. In 2001, Agee was invited to participate in the Struga Festival in Macedonia (formerly a part of Yugoslavia), Eastern Europe’s most distinguished poetry festival, which that year awarded its “Golden Wreath” to Seamus Heaney. In 2003, Agee was an International Writing Fellow at the William Joiner Center, University of Massachusetts, Boston. In 2007 and 2009, respectively, he was a writer-inresidence at the St James Cavalier Arts Centre in Malta, and at the Heinrich Boll Cottage, on Achill Island, Co Mayo. He has had many periods of residence at the Tyrone Guthrie Centre, a workplace for artists at Annaghmakerrig, Newbliss, Co Monaghan. Agee was appointed the Keith Wright Literary Fellow at the University of Strathclyde, Glasgow, from a large field of British and Irish applications, for the period 2013–15. He remains at Strathclyde as a Visiting Scholar in the School of Humanities and Social Sciences.